We’ve got scarecrows for you! 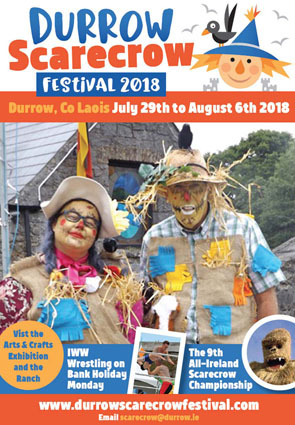 As 2019 is the tenth year of the Durrow Scarecrow Festival, we really, really are hoping to see a record number of scarecrows, all around Durrow, and the surrounding areas! It would be an amazing way to help celebrate this great milestone! When it all started back in 2009, we could not have dared to dream, how popular the Festival would become, with so many people attending, and joining in the fun, year after year! So in order to help you with your plans for this year’s festival, we can supply you with a ready made scarecrow. We have a surplus of scarecrows, as so many are donated to us each year, after the competition ends. They come in all shapes and sizes, but most have the head and frame intact, so that means the hard part is done!! 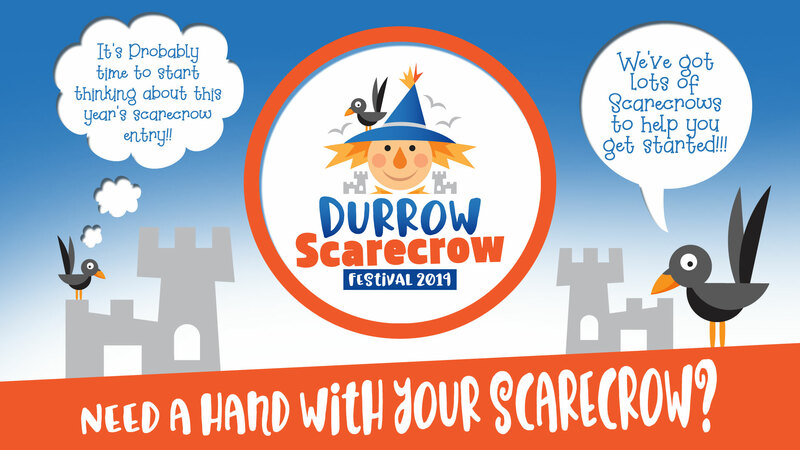 All you have to do is add your creative spark to it, and help us have a record number of scarecrows at Durrow Scarecrow Festival 2019! If you’re interested, just contact us by private message through Facebook, and remember – It’s never too early to start!